A colourful and heartfelt friend poem about best friends and all they mean to us. Can be personalised with your message. 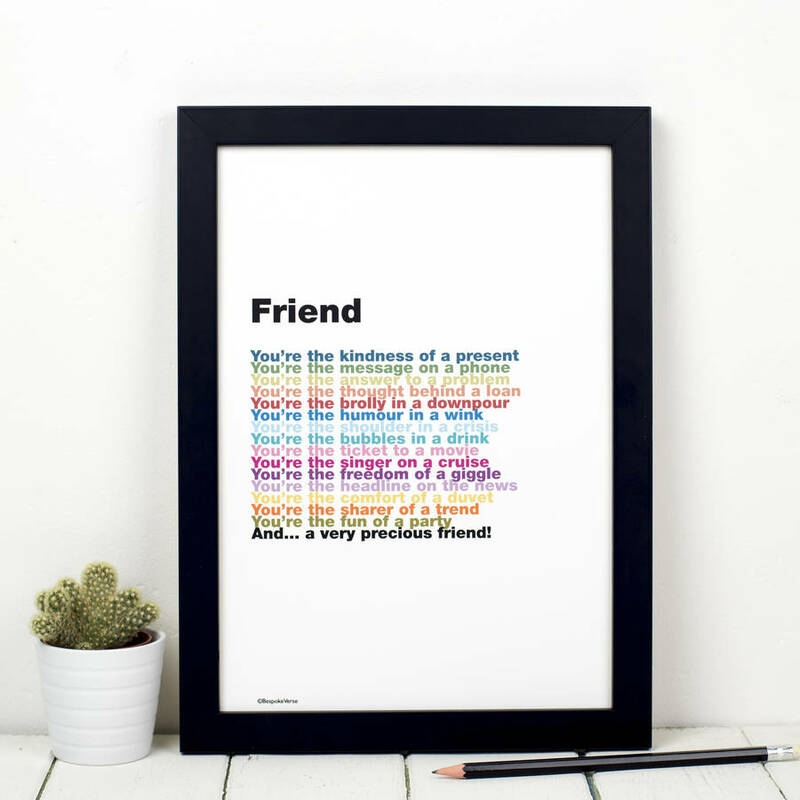 This witty, rhyming rainbow print makes the perfect gift for a friend - whether it's for a birthday, Christmas or a thank you for being a great friend. 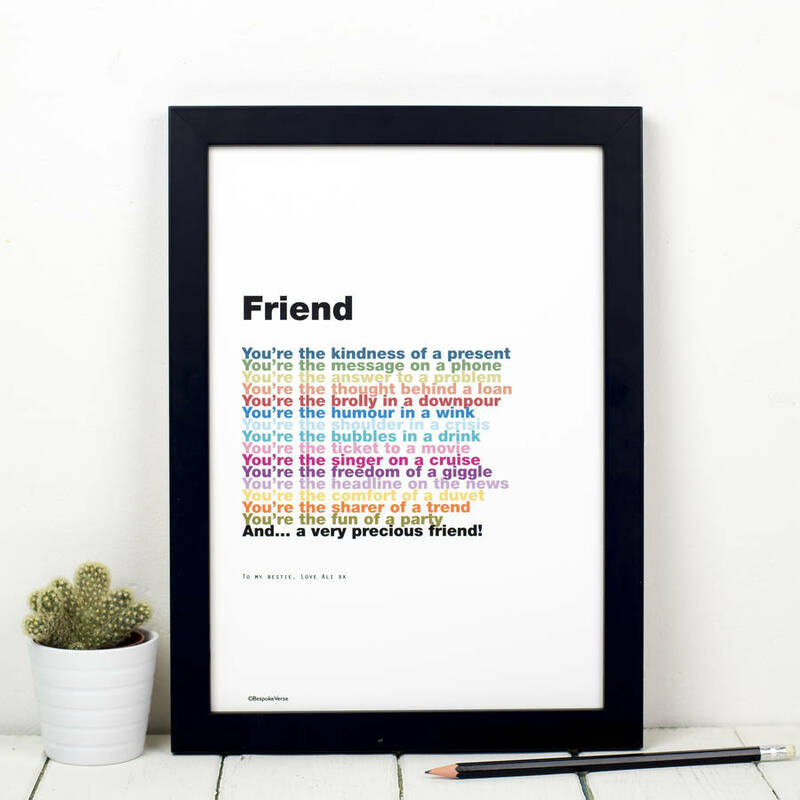 Written by award-winning Bespoke Verse poet Joanna Miller, this 16 line poem is based on her fabulous buddies. The design is by Russet and Gray. The A4 print comes unframed. It is presented smartly in cellophane with backing board behind. For an extra fee we would be happy to frame the print for you using one of our custom-made wooden frames. Please see below for details. You’re the thought behind a loan. You’re the bubbles in a drink. You’re the headline on the news. And… a very precious friend! The poem is printed onto the highest quality GF Smith white A4 card (250gsm) using Dura-Bright waterproof ink. Unframed prints are sent out in super-stiff envelopes. The lightweight wooden frames are made from a Slim Matt Black moulding.